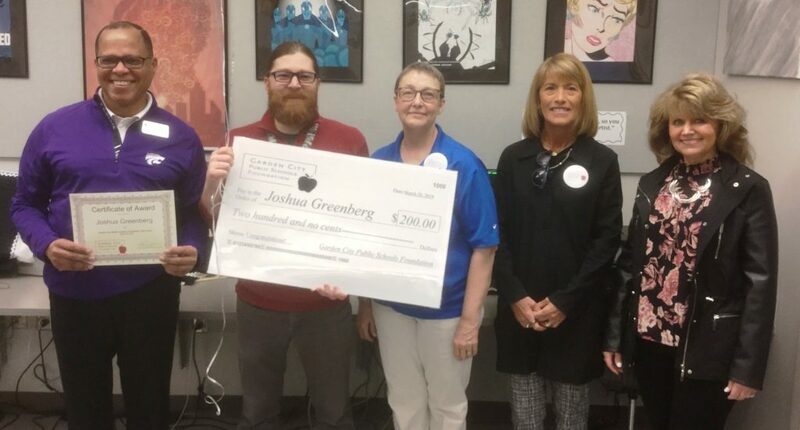 Joshua Greenberg, Garden City High School art teacher, was one of several teachers who was awarded a mini-grant Wednesday from the Garden City Public Schools Foundation. GARDEN CITY — The Garden City Public Schools Foundation Grant Squad visited schools on Wednesday, March 20, and awarded $200 mini-grants to help teachers enhance instruction in their classrooms. The awards were presented to teachers in a surprise celebration in their classrooms. • Wyatt Smith, Charles Stones Intermediate Center Music instructor, who will use the grant to purchase music through the use of singing idiomatic and appropriately adapted songs. The goal is to help broaden vocal music students’ horizons and will encourage students to seek out and learn about new and foreign cultures. • Sandra Naeve, Garden City High School art teacher, who will use the grant to purchase virtual reality goggles. The goal is to bring GCHS into the 21st century with virtual reality as an educational tool for all students to access subjects. It will also help increase knowledge and participation. 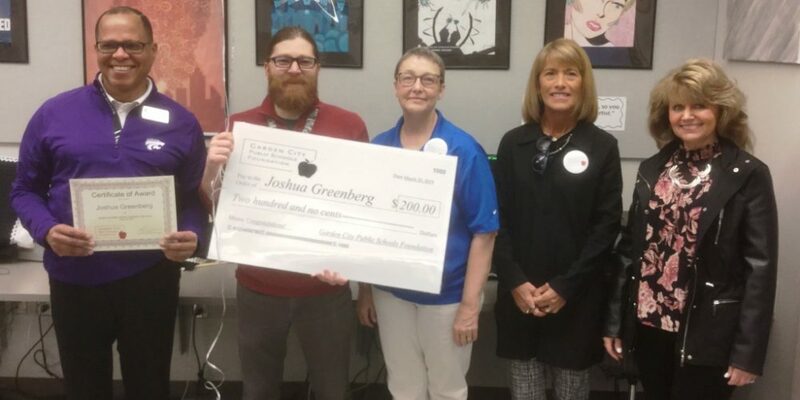 • Joshua Greenberg, Garden City High School art teacher, who will use the grant to purchase materials for a collaborative art project between fourth-graders at Edith Scheuerman Elementary School and Garden City High School Art students. Edith Scheuerman Elementary students will design food emojis and the GCHS art students will make a felt sculpture of each emoji. • Kimberly Currin, Jennie Wilson Elementary School fourth grade teacher, who will use the grant to purchase activities and kits to help provide students opportunities in Science, Technology, Engineering, and Math (STEM). The activities will help the students explore STEM related concepts. They will problem solve and discover how things work. • Roxanna Reed, Abe Hubert Elementary School Special Education teacher, who will use the grant to purchase materials for a studio design process. The goal of project is for students to learn the fundamentals of planning and designing buildings, inventions, gadgets or outfits. The foundation received 14 grant applications from staff around the school district. The grants are awarded to help support learning initiatives in the classrooms. 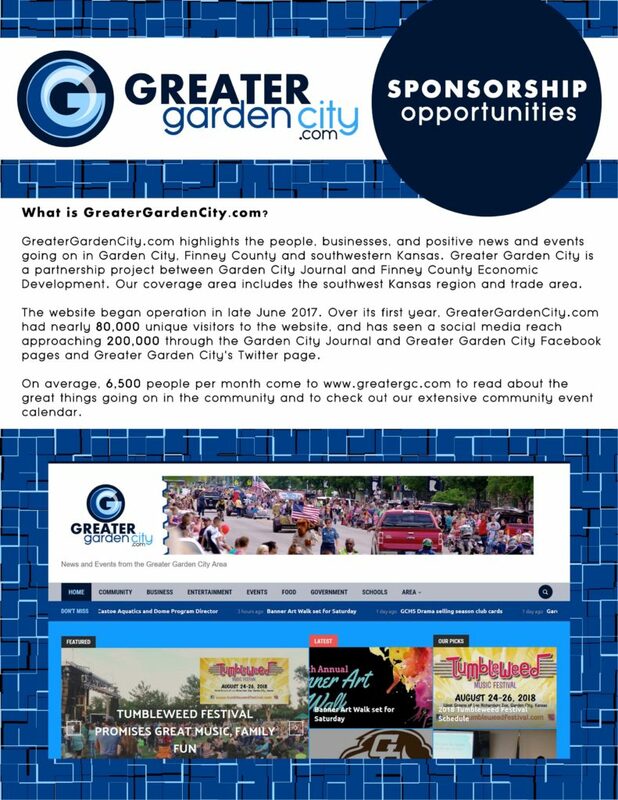 The grants may be used for the classroom, department, or individual staff development for a district employee.The applications are read and judged by the Garden City Public Schools Foundation committee. 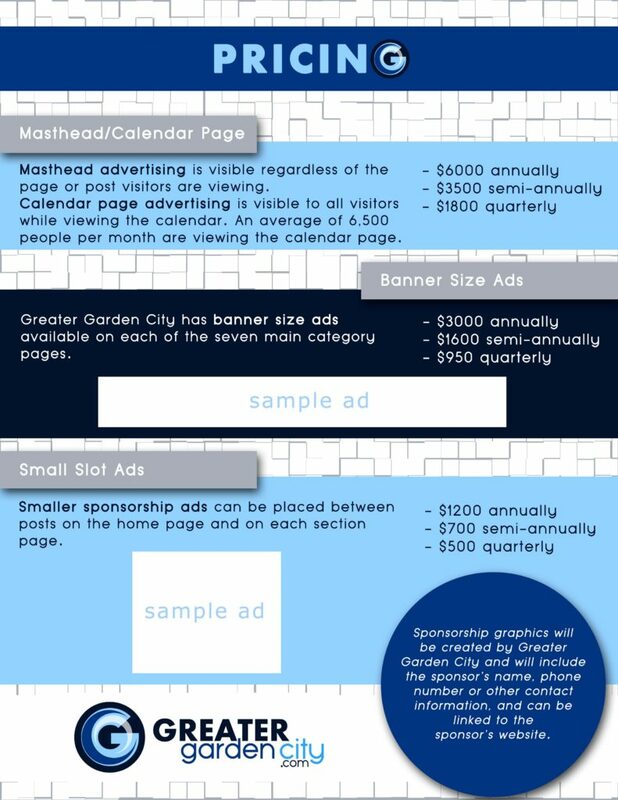 The Garden City Public Schools Foundation was founded in 2004 and is a non-profit organization that is committed to effectively generate, manage and distribute funds to stimulate excellence for the preservation and enhancement of exemplary education provided by Garden City Public Schools. 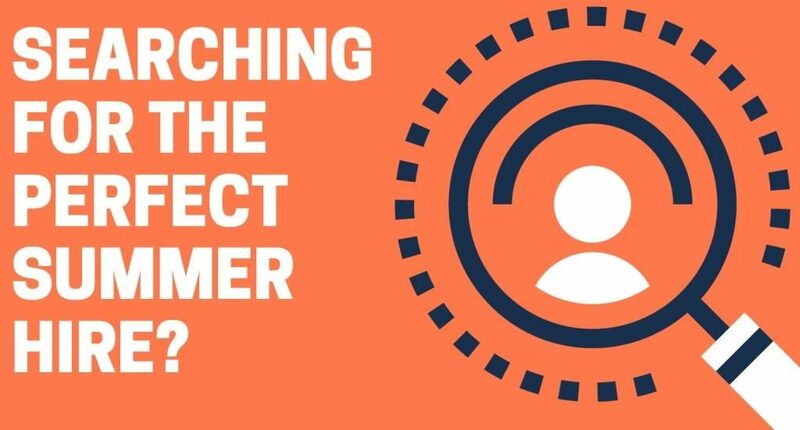 The Foundation offers the opportunity to enhance the learning environment, increase the effectiveness of instruction and to help strengthen and broaden ties between the schools and community. The Foundation functions in alliance with the Western Kansas Community Foundation.